Between 1941 and 1945, Hitler was pummeled on comic book covers by everyone from Captain America to Wonder Woman. Take That, Adolf! is an oversized compilation of more than 500 stunningly restored comics covers published during World War II, featuring America's greatest super-villain. 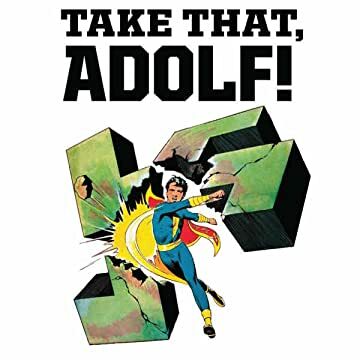 From Superman and Daredevil to propaganda and racism, Take That, Adolf! 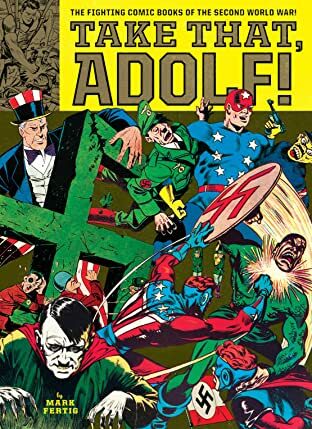 is a fascinating look at how legendary creators such as Joe Simon, Jack Kirby, Alex Schomburg, Will Eisner, and Lou Fine entertained millions of kids on the home front and buoyed the spirits of GIs fighting overseas by using Adolf Hitler as a punching bag.